All overseas prints of the eagerly awaited period action adventure ‘Baahubali – The Beginning’ will have subtitles, to cater to foreigners and non native speakers of Telugu, Tamil and Hindi. 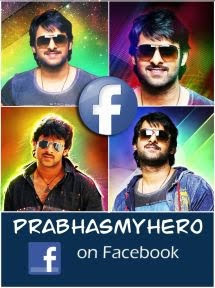 The film is getting ready for a massive release on July 10th across the world. For the last few years, the demand for subtitles in Indian films has been growing stronger in overseas markets. International media exposure and a growing interest in the massive Indian Film Industry among foreigners has contributed to this. 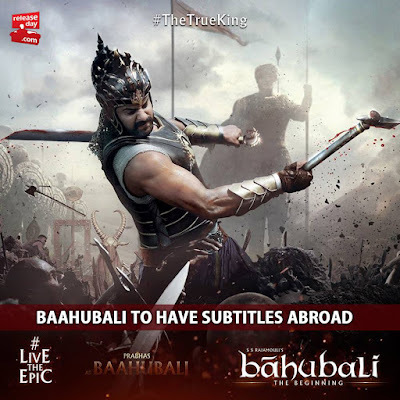 Because of the massive scale of the film and public interest in ‘Baahubali – The Beginning’, the decision has been made to ship all overseas prints with subtitles. The film’s post-production work is in the final stages and the Telugu audio was launched successfully on June 13th in Tirupati. The Tamil, Malayalam and Hindi versions of the audio will be out soon. Arka Mediaworks is producing this big budget period epic.